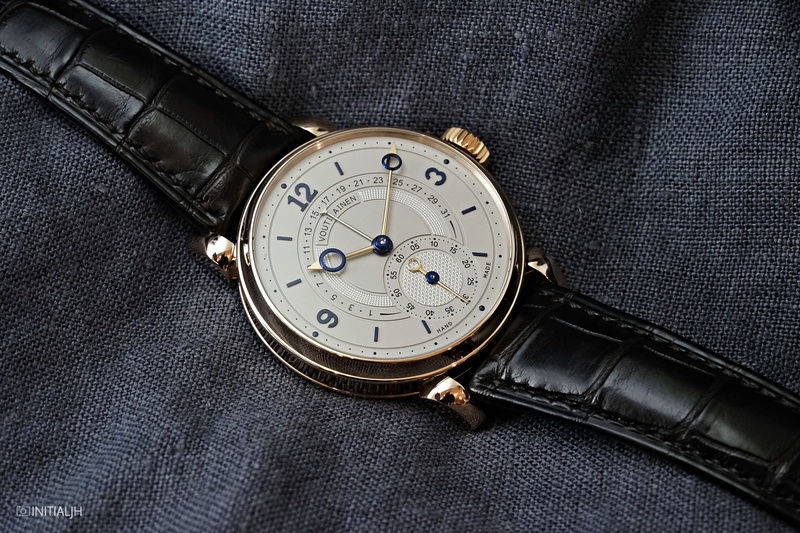 This year has seen the launch, by Kari Voutilainen, of a new watch inspired by his Vingt-8 movement. Called the 217QRS, it features a retrograde date display with an unusual attribute. The usual retrograde date function of this type with which you are probably familiar has a date indicator that moves in an arc as the days go by, the hand jumping back to the start of the month count once the arc is complete via a spring releasing its gathered tension. However, Kari Voutilainen has done something different. Instead of a rapid jump back, his does so in a slower fashion, reducing the possibility of the indicator not landing exactly in place. The new 217QRS retrograde function is fully integrated in main plate of a manually-wound in-house movement. To achieve the slower retrograde return, Voutilainen used special gear wheels, creating a mechanism to return the date slowly back to the first day of the new month. The movement has a power reserve of sixty-five hours and beats at 18,800 VPH. The main plate and bridges are made of German silver. Its balance wheel (1.36mm diametre) has been made in-house. Attached to the extra-large balance wheel is a balance spring that uses a Phillips overcoil on its exterior and a Grossmann curve on its interior. The escapement is of particular note, as it is the first watch to have two escapement wheels in this configuration. The use of two wheels rather than one provides a direct impulse to the balance through the jewels, thus using less energy. The handmade dial is quintessentially Voutilainen. Silver, engine-turned, and with contrasting guilloché patterns in frosted silver or blue respectively, they are topped with applied gold numerals and gold hands. The new 39mm sized 217QRS Retrograde Date comes in a total series of thirty pieces, with ten in platinum, ten in white gold, and ten in rose gold. They each come on a crocodile strap with a tang buckle in 18 carat gold. Prices are 128,000 CHF for the platinum model and 118,000 CHF for the white and rose gold models.